We are proud to announce that version 1.5.628 of Football Play Card now includes the ability to add rush actions to defensive players. We also enhanced the functionality of defensive actions so that you can drag and move all defensive action lines on the field to get the perfect look. 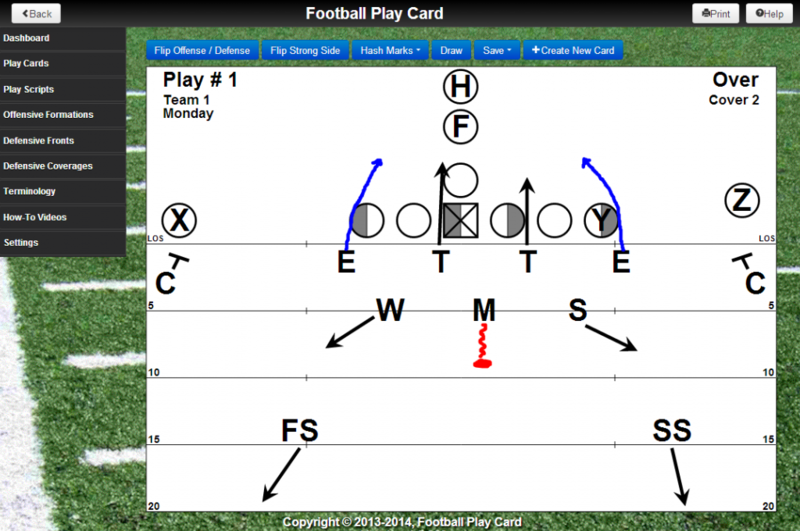 This entry was posted in Football Play Card News, New Functionality and tagged Coverage, Drawing, Football, New Functionality, Play Cards, Rush. Bookmark the permalink.